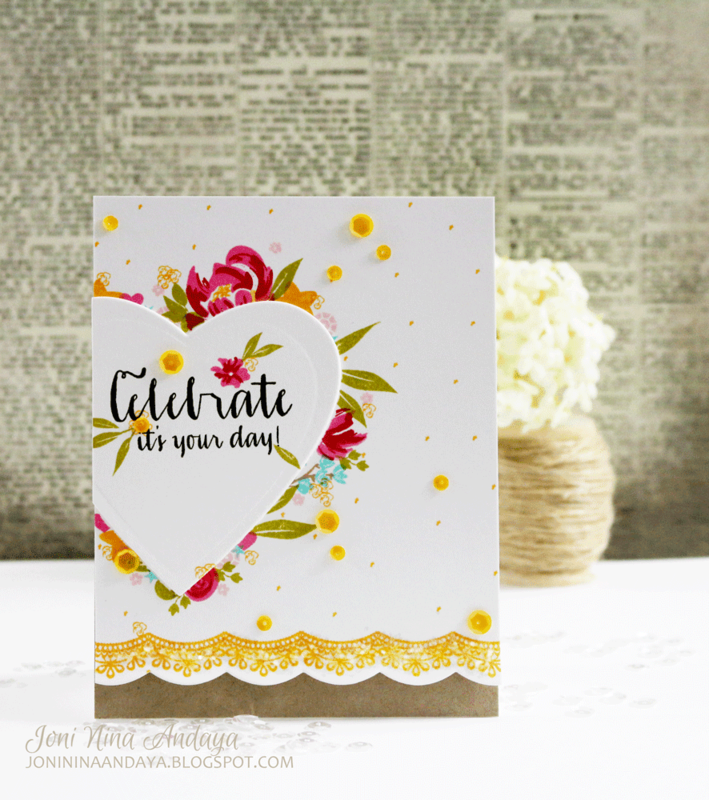 Hello Everyone...finding myself playing with Wplus9 Pretty Peonies, Pretty Little Peonies, Fresh Cut Containers, Chantilly Trim, Strictly Sentiments 5 , Little Bits, Stackers: Hearts dies, and Scallop die. 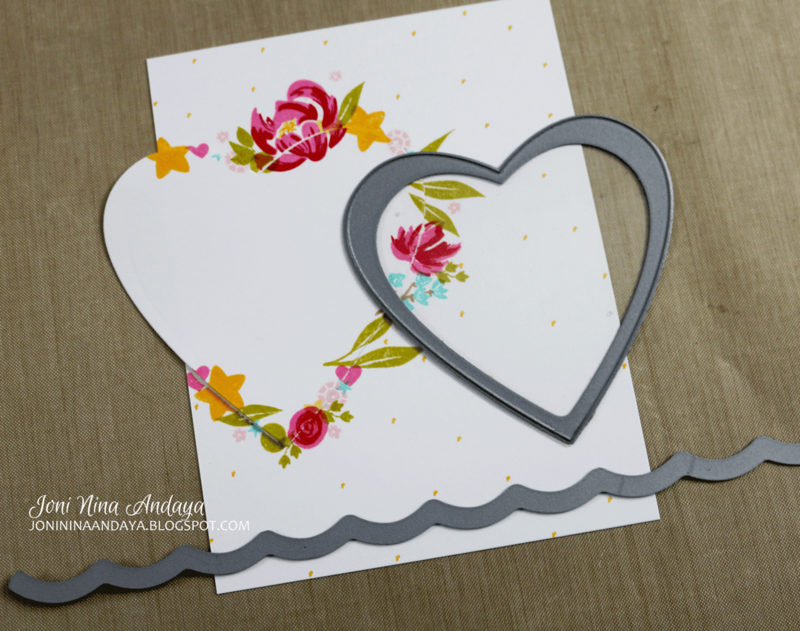 To begin my card I first created a guide using the Stackers: Heart die (largest one) then stamped my images using Pretty Peonies, Pretty Little Peonies, Fresh Cut Containers, and Little Bits. I then removed the heart guide to reveal the flowers. 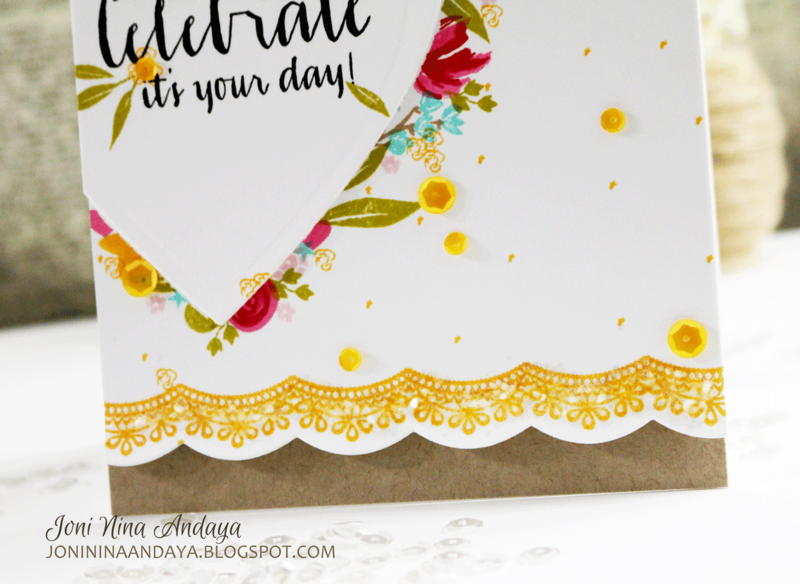 For the bottom of the card panel I die-cut using the Scallop border die where I stamped one of the Chantilly Trim images (you can see below :). I then die-cut 3 more hearts, cut on the side and adhere on the card panel for elevation. I then stamped the sentiment from Strictly Sentiments 5 and added some flower and leaves from Pretty Little Peonies. I added some Pretty Pink Posh sequins is Marigold in 4mm & 6mm to finish off the card. You simply amaze me with your talent!! 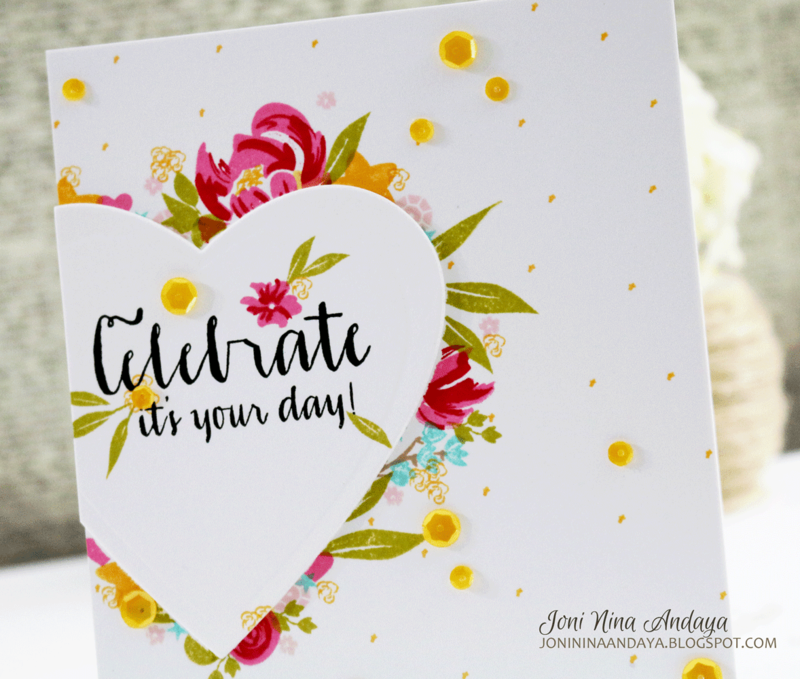 Beautiful card Joni! This is so pretty, Joni!!! Love it! So gorgeous! LOVING the colors and the heart!!!!!!! Wow this is gorgeous! What a showstopper! Gorgeous colors and fab design !! Joni, this is gorgeous! I'm so in awe I can't even think of words fitting enough to describe how wonderful I think this is!